There are currently no upcoming soccer listings scheduled on Sport 24. Are we missing any soccer listings for Sport 24? If so, please let us know. Sport 24 is a sports channel created specially for the airline and cruise line industries. 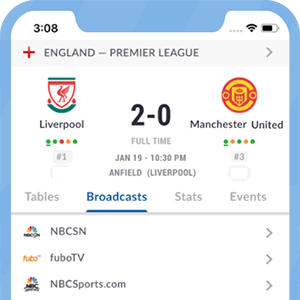 It allows travellers worldwide to enjoy live coverage of major sports competitions while on the move. Partner airlines of Sport 24 include American Airlines, Emirates, Etihad Airways and Lufthansa. Other partners include Cunard Cruise Line, Carnival Cruise Line and Norwegian Cruise Line.